Business in all levels is tough ongoing. Sometimes we need a bit of motivation. Now first of all, let me point out, this is a huge thanks to the amazing Corbett Barr of Fizzle. www.Fizzle.co. The guy is brilliant so big thanks because I kind of stole this from him. But much of because the way he puts it. He’s very very helpful. I don’t want to make it sound like I’m having a go at you. What is it? We, or everyone else doesn’t care. Right. You may be sad. You may be exhausted, you may be tired, you may be depressed, you may feel lacking motivation. Don’t wine to everybody else. They are fine. If you’re doing that, you are just looking for sympathy. You’re looking for others to validate that. How is it going to help you? You. This is why you need motivating. You need to, I can’t say pull yourself out of it. I’d say we are not talking clinical depression here. Just talking on the day, but being negative, complaining and reiterating how you feel, reminding yourself how you feel is not going to help motivate you. Trust me. It is not. Listen to Tony Robins if you don’t believe me. You need to be more positive. Your life is what you make it. It is not going to get very far if it’s a constant battle of negativity and complaining. And this means, I’ve even heard of people who have a little complaining band on the things, so if a moaning band like a little band on their wrist, so if they complain about something, this is nothing to do with your business. But if they are in a restaurant, if they are out and about, and they feel like they are complaining about, oh someone jumped in the queue. They suddenly sense, oh I complained again, I’ll put it on the other wrist, to try and remove the complaining from their lives. To make their lives more positive. Because if you went through life happy and not complaining about anything, you will have a lot more of a positive attitude and be able to do more. Another step. If things, if you need motivating, you can be at all kinds of levels. Stop what you are doing, simply go and make yourself a cup of tea, or a cup of coffee. Of course if you are English, you are going to, British, you are going to make a cup of tea. We do drink a lot of coffee. Don’t you worry. Or another drink, if you prefer, juice. Just go and make a drink. Go and do something different. It is called taking a break. Honestly. In my business, in fire protection online, we force people to take their breaks away from their desks. In forced not like grab an old woman and dragging them off. But most people will just sit there, drink a cup of tea and never move all day until they desperately got to go to the loo, to the washroom. But we want them to have a break because we want them to be refreshed so sometimes we have to make them happen. I believe they are, my staff, I believe are not allowed to eat their lunch at their desk. They have to go and eat it somewhere else. We do have area for them to eat it. But it’s not very luxurious, it’s good enough by the way. But it’s so that they actually take a break. Now another thing is, when it comes to eating and drinking, eat healthy snacks. Go have a snack. Eat some fruit, eat some nuts, don’t dab. Don’t just dive into a bag of crisps, or potato chips or popcorn. Or those breakfast bars. Come on. They are not healthy snacks. Seriously they are, oh come-on you think they are. They are not, you might as well be in Mars bars and Snickers. But don’t go for those. Because they pump up the sugar. I’m not a doctor, this stuff is all out there. And by the way, I love those things as well. And will also have them, but don’t make that the default go to. Alright. Have a little bag of walnuts, and eat like 3. And it has some kind of effect and it’s healthier. Anyway just don’t default to sugary ones because they boost up the sugar levels, and then dive back down, so you need something else straight after. The other one, next one, how about going for a walk. Now you might think I haven’t got time for a walk. How far do you have to go for a walk? How far do you think? Walk around the block. Walk out to do something and come back again. Just, you don’t have to go for miles, you don’t have to go on an epic marathon. Just, it’s giving you a change of atmosphere. So change your situation, and a walk is great for that. If it is raining, take an umbrella. Or wear a waterproof coat with a hood that doesn’t, ends up that you don’t get wet. Honestly if you go out when it’s raining, there are not many people walking around. It’s fantastic and the air is fresh. Don’t give yourself excuses. If you are working from home, how about go take a shower, if you really want a longer one, go take a bath, but go take a shower. Refresh yourself. It will give you a change of atmosphere. Another one, perhaps you have an extremely trusted friend, who you can call up. You can phone up and say, hey extremely trusted friend, I need a boost. I just need some motivation. Give me some. Now it does help to have one of them in advance, so you might occasionally phone them up, and do this, I won’t recommend phoning them up every day, but in a variation of your tactics to notivel, sorry to motivate yourself, you need to do different things. If you do the same things every time, it becomes part of the routine that gets you unmotivated in the first place. So you need to mix it up. So if one day you took a walk. The next day you phone your friend, so phone the friend and say, okay I need a talk, this is not about, moaning about the weather, moaning about someone, I need a boost. Your friend can tell you how wonderful you are, they can tell you what, they can tell you anything, but if you pick the right person, they should be able to get you going. Now most important, log off social media. If you need motivation that is not where you are going to find it. You will find that the popular things are bad news. Complaints people have died. Oh, I am feeling sorry for myself, yeah mee too. So get off that. It’s not going to help. Or you may get onto new sites and find out that it’s just been some suicide attack in a lepo or something like that in Syria and then you lead off down there and then you’re going to feel sad for people and so on. It’s not going to help. Get off social media to get that thing done. If you are at home, turn off the TV. It’s not necessarily helping. You might enjoy but again it becomes a habit, doesn’t it? Or turn off the radio, because the radio, you can say, oh yes the radio is good but you need to listen, it’s not just music. Now of course, there I recommend focus at will. And again if you look it up, focus at will uses the x in its name. But it is, it is a music that you can listen to, while you work, and it doesn’t interrupt your work, it kinds of help you work, it takes away distractions and so on. It’s very clever. But it works better than the TV or the radio, because it’s less intrusive, its, you’d have to try, I think, I know they’ve got a free trial, a free trial sorry. There are others. If you want a bit more noise there is Coffitivity, like Coffee with activity. A mixture so www.coffitivity.com. That is free. That actually gives you noises recorded in coffee shops, university cafeterias, breakfast places and all sorts. You got a choice, it’s quite funny, but that’s another one that can help you, it removes distracting noises that can interrupt the flow, and so on. 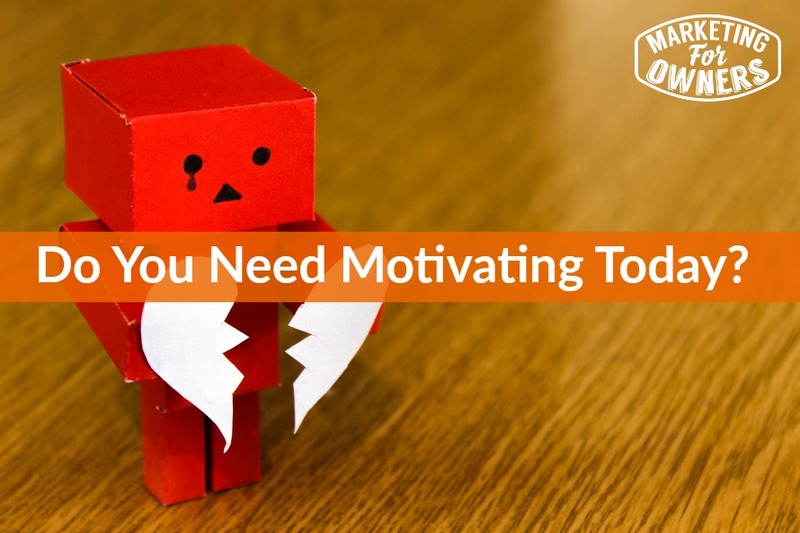 But all of these things can help motivate and get you going. So you have no excuse. You have to do something about it. Now I’m as lazy as an x person if not lazier. And I have to do this stuff too. You do stuff day after day and you get in routine, you find a new system that gets you working, eventually it becomes a routine and it doesn’t work anymore. You need motivation. I have it all the time. And these are things that work for me and I didn’t invent them. I got the ideas from others. Corbett Barr didn’t invent them. He got the ideas from everyone else of things that work for him, and things that work for others. Just remember these things, just do 10 minutes of it and then continue on. That will give you a boost and get you back to being successful. You do not have to work 20 hours a day, or 10 hours a day or even 8 hours a day. Do not expect to be effective all day long. But when you’re slacking or when it’s going downhill, try one of those. Help you get back to it. Today it is Thursday. And another one’s that going to help, a drive time podcast. Listen to on your way to work, on the way home, while shopping, travelling, commuting. Today big shout out for the Cliff Ravenscraft show. 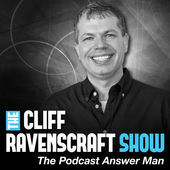 Now Cliff Ravenscraft is known as the Podcast Answer Man. He has been around in podcast since 2005. I didn’t even know podcast were around in 2005. He was the one they went to and he is still around. His podcast, I think its weekly. It is extremely good, as you can imagine, Cliff is a genius. He has helped thousands of people. Listen to the Cliff Ravenscraft show. It’s brilliant. I think his website is www.PodcastAnswerMan.com. That is also unbelievable. Resources, everything you need to know. Loads of it. Well pretty much everything you need to know is there for free. Go check it out. Tomorrow, fantastic Ones to Watch interview. Yeah. Be there. That’s going to show you someone new that you didn’t know is going to have fantastic idea for you. You will love it, then have yourself a nice weekend, I’ll be back next week.